In any organization, there will be conflict. Knowing how to channel opinions and conflict the right way to get to the bottom of issues and move forward is key. There is a way to have a healthy conflict without disrupting the core foundation of the organization. Here are four ways to do this effectively. When addressing conflict, leave the floor open for all parties to have a chance to speak. If an agenda is present, the other party will feel as if they are under attack and go into defensive mode. A good leader does not think about themselves or their ego. They understand that the ultimate goal is finding out the root issue (versus trying to solve a symptom), as it will benefit the entire team. Tone can be misconstrued in written communication. Putting everything on the table, regardless of what has already been written, provides a clean slate for everyone to say what they really meant. As a manager, it is also important to consider your own tone when writing emails, as the words you've chosen can quickly send the wrong intent. This is a perfect learning moment for all parties involved. You may be able to present solutions that will prevent huge systemic breakdowns, or may learn new information that will present additional opportunities. Any debate when heated can raise tempers and emotions. As a manager, you can allow the pressure to build, but be mindful that it must be released after the conflict, or resentment will set in. A small business coach will help you work through ways to alleviate conflict and keep all parties civil moving forward. The Entrepreneurial Operating System (EOS) can assist in getting to the bottom of things. It is not uncommon for a management team to avoid conflict; those issues are usually sent to the HR department. 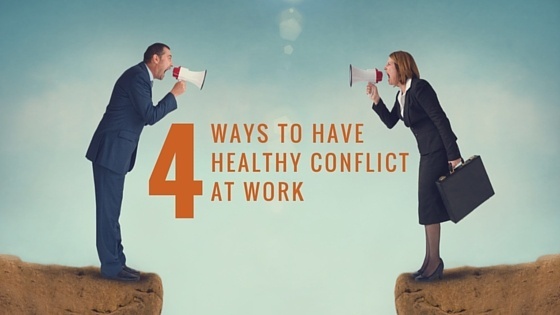 One of the best things a manager should know is how to resolve conflict without involving HR. This should be reserved for those instances where no compromise can be achieved. Getting advice from a small business coach can be invaluable to your organization. This article was originally posted on the Traction, Inc. blog on March 11, 2016.